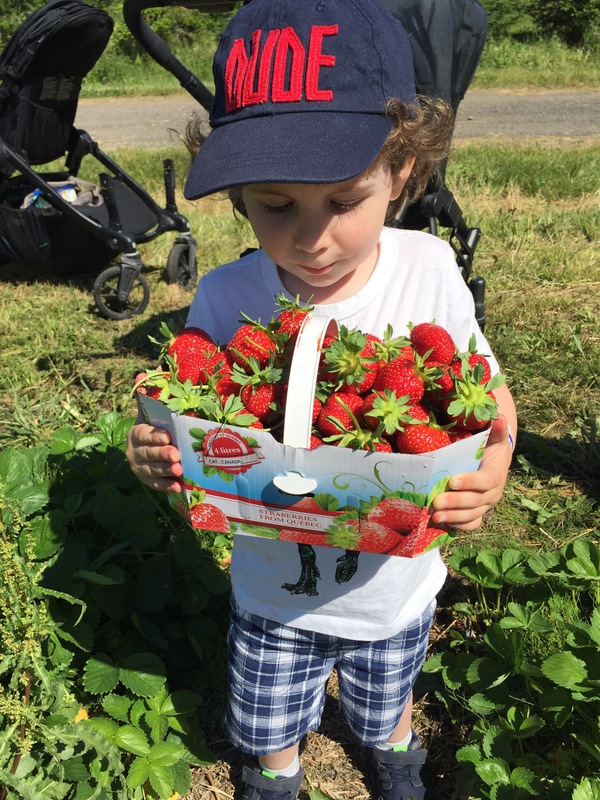 We just got back from strawberry picking in Montreal at Quinn Farm. (Well outside of Montreal) It was so much fun spending the time together as a family on such a beautiful day. It feels like it’s been so long since we had a great outing. Last summer I was pregnant, in full-blown renovation mode, and then I injured my tailbone after falling down a flight of stairs, so that made the summer essentially a write off. We didn’t get to do a whole lot. 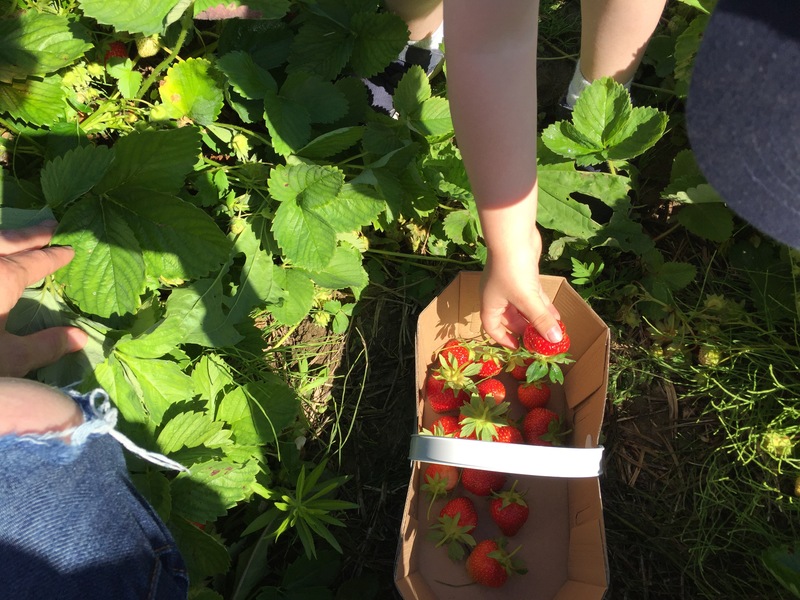 I haven’t a been strawberry picking since I was a little kid and that was maybe about 25 years ago. 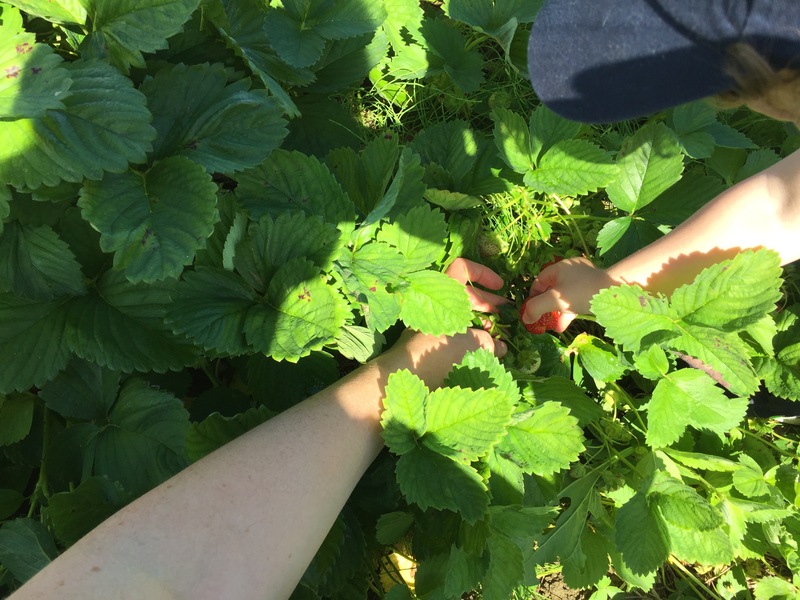 We had a strawberry garden a few years ago, before our life with kids, but they didn’t produce the big red plum juice strawberries like what we found today at Quinn Farm. 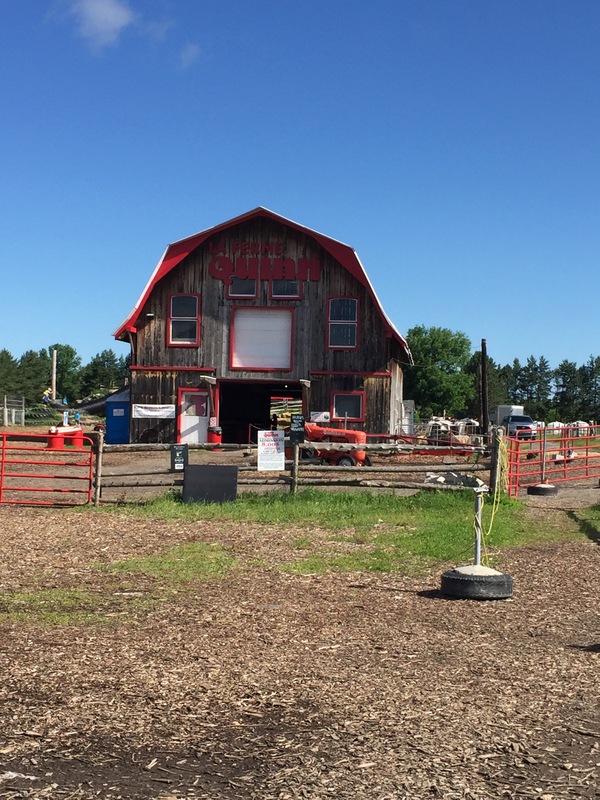 It was our very first trip to Quinn Farm, so I didn’t know what to expect, but I’ve heard so many great things about it that I knew it would be great for the entire family. There’s something for everyone and the play park area was actually really cool. 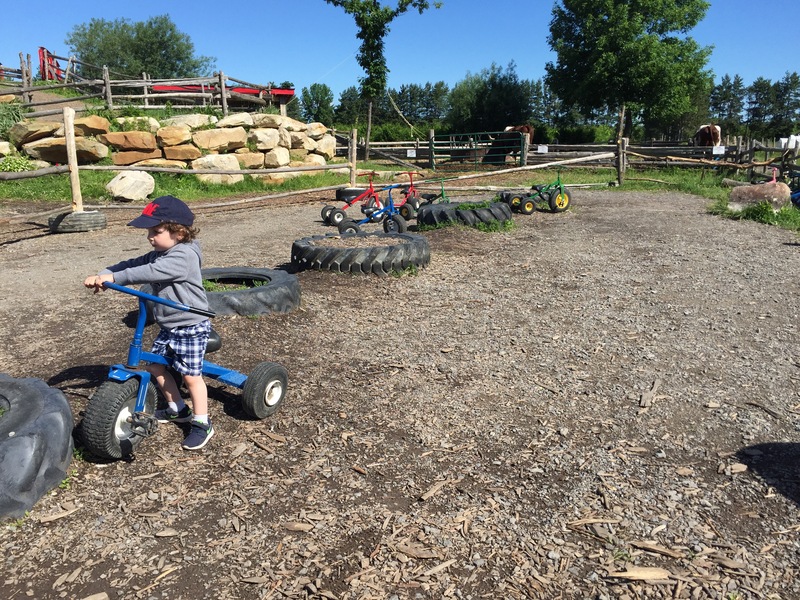 From farm trikes to the maze, we had fun and spent a good half hour looking at the animals before we took the tractor ride to the strawberry field. Spending the morning with a three year old and a seven-month-old at the farm was absolutely a non issue. 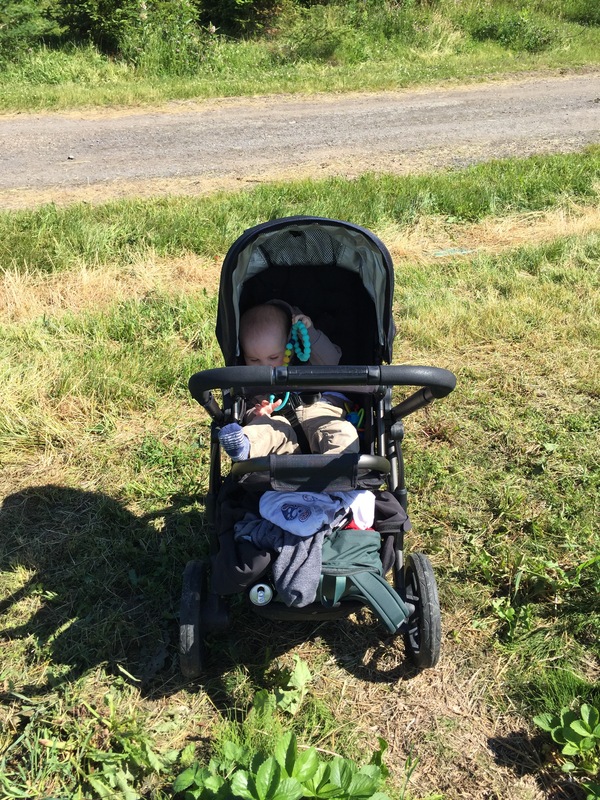 We got around very easily and there was a changing station for baby as well as the snack bar, but we ended up bringing our lunch and there were plenty of picnic benches to sit and eat. 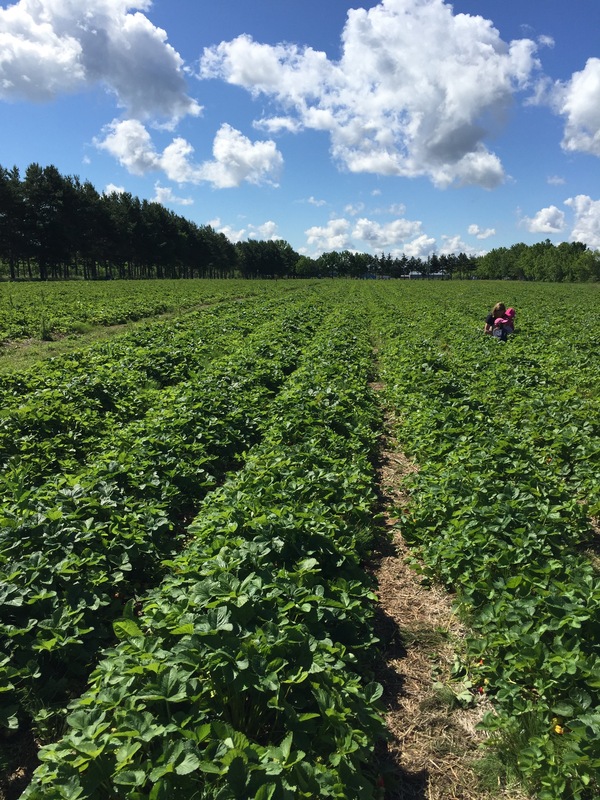 Once we got to the strawberry field we easily filled up a basket within 15 to 20 minutes and the tractor comes back every half an hour so it worked out really nicely, again we were able to go on the tractor with her stroller no problem at all. 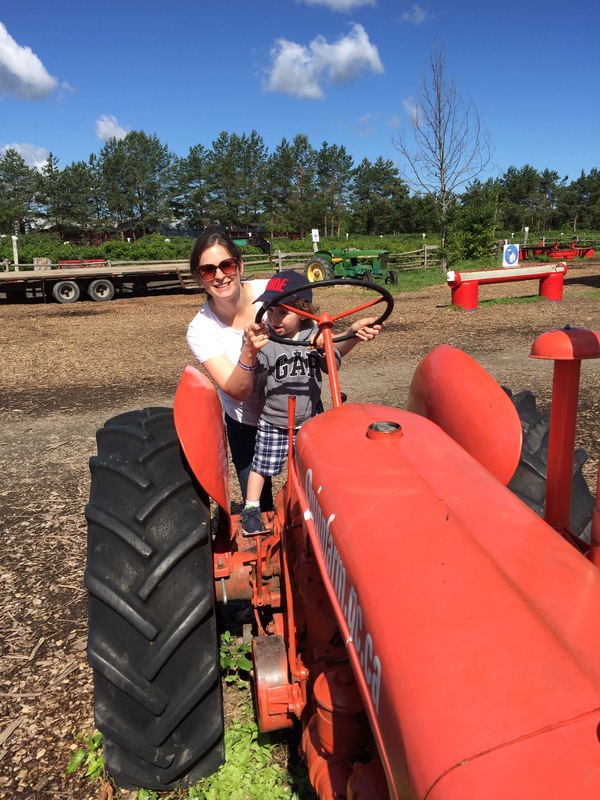 The farm is very family friendly and we were really impressed by the whole operation. A great place to spend a morning, afternoon or even the day as a family! Happy Fête Nationale! What to do today? Love love love Quinn farm!